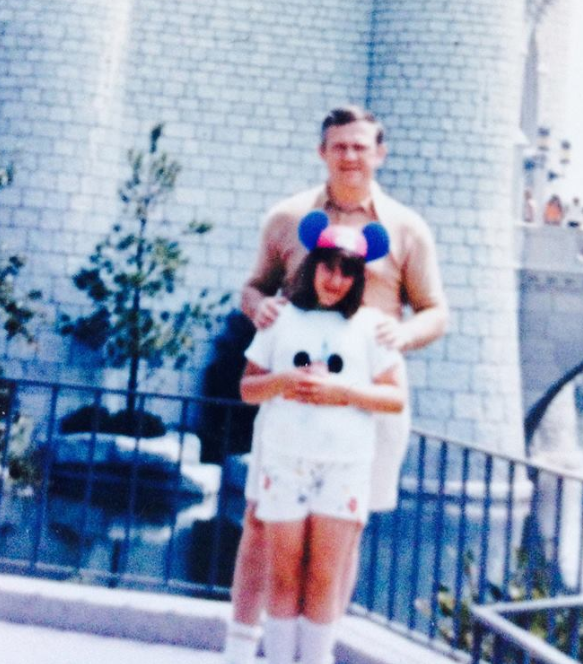 Me and my dad, at Disney World 1974. Today marks the fifth anniversary of my father’s death. In 2010, June 20th landed on Father’s Day. Yes, he died on Fathers Day. Don’t mean to bum anyone out – but that’s how it ended for him and for me. A father and daughter in this world. I became fatherless on Fathers Day. I’ve lately been obsessed with the Broadway musical ‘Fun Home’. Like Alison Bechdel, author/artist of her auto-biographical graphic novel of the same name in which this musical is based, I was a child of the 70’s. I lived in a home where everyone was isolated in their own worlds. Although her story is quite different from my own, universal themes abound and have struck such a chord, I can’t stop listening to the gorgeous cast recording without tearing up and thinking of my dad on this strange weekend. Alison’s father was a closeted homosexual who killed himself shortly after his daughter came out as a lesbian. There is so much more to describe, with fascinating and heart wrenching complications so devastating, it leaves burn marks, hitting ‘the feels’ no matter what your own family narrative is. So, I’ll leave it to you to Google and explore, to sample the music of this wonderful work. 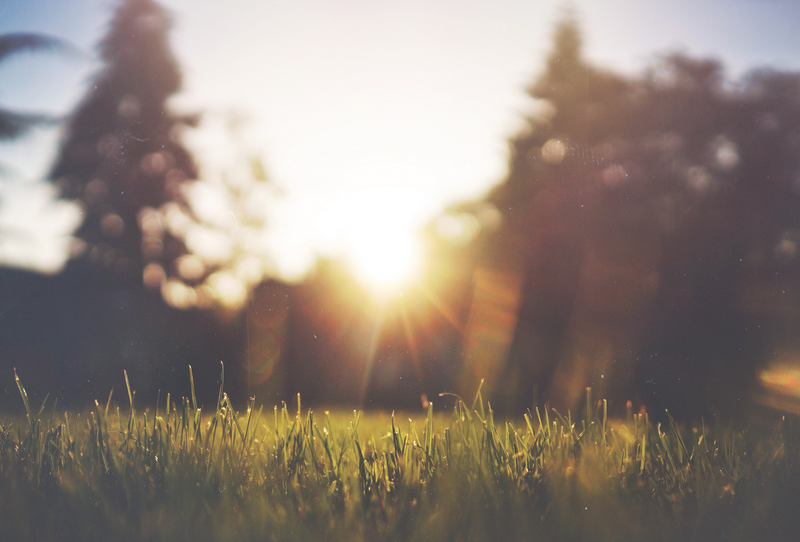 I just want to hear the songs in my head, remember the days of my dad when I knew him. 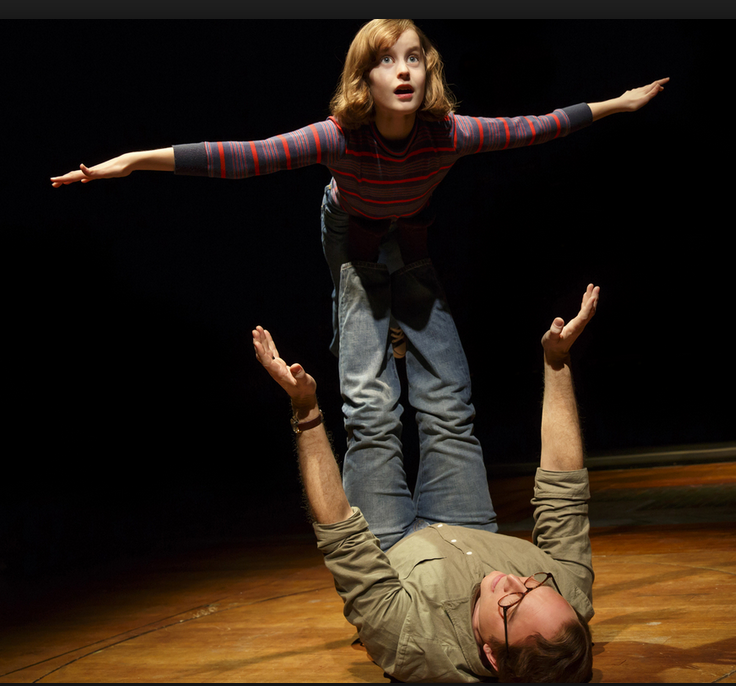 Michael Cerveris and Sydney Lucas in the Broadway musical “Fun Home”. My father was a faithful husband, but he adored the ladies, and charmed them all – except my mother – who held him at arm’s length. Like the Bechdel’s, my parents had a complicated relationship albeit caused by different circumstances. Arguments filled the house, filling me with dread. I drowned it out with music. Unlike Alison – whose father rarely touched her with affection unless she forced him to engage in a game of airplane – my dad gave me bear hugs and held me when I cried over boys I loved who wouldn’t love me back. He gave me piano lessons, a love of performance and music. He took me to wonderful restaurants and baseball games at Shea Stadium. Drove me from Manhattan every Friday to our family house in Rockland County — every week just so I could at the old homestead – a sanctuary away from the NYC bustle. Dad lived a full life. He spent a childhood orphaned by war and running from Hitler. He came to the US to live with his German aunt and uncle, learned English, finished high school, aced his SAT’s and supported himself (with the help of scholarships and jobs) through NYU’s business school. He was an US Army veteran, a Brooklyn Dodgers fan turned Mets fan, a guitarist, and an upright bass player. My dad was a brilliant sculptor – re-creating scenes from Don Quixote in clay, and carving lifelike busts of presidents and rabbis. Yes…rabbis. And he did that while he was a corporate man at IBM. In retirement he wrote poems, plays and novels. He died at the age of 83 five years ago on this fateful weekend from the after effects of a stroke. As different as our circumstances, Bechdel’s story goes beyond sexual discovery. It’s about a father and daughter who loved each other despite expectations, despite the issues. Dad’s will play airplane and give piggy back rides. They will also scare you and love you at the same time. We hold questions we forget to ask, and they take the answers with them when they go. I am consoled by the fact my dad and I never left anything unsaid. We said we loved each other everyday. My dad didn’t have secrets like Alison’s father did; however, I often wondered what he was thinking – how he sacrificed an artistic life for a corporate one so I’d never have the difficult childhood he did. He was a formidable presence in my life, who soared above me yet always allowed me to rise above when it was time. Categories: Dads | Tags: Daugthers, Fathers, fathers day, Fun Home, Michael Cerveris, Sydney Lucas | Permalink.